Live like you’re travelling is a great e-zine. One of the creators of and writer for this e-zine is my very good friend, Alla Feldman. She is a super tenacious American, a real ball of fire and I love her and her work. 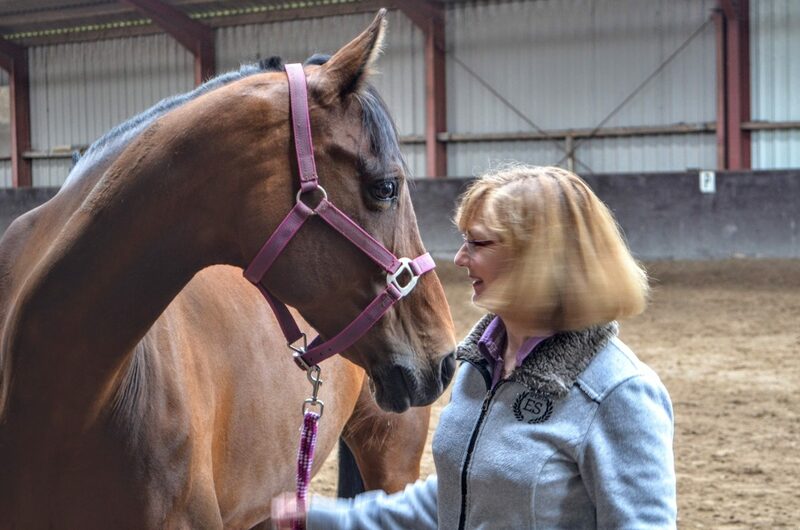 Using a horse as a coaching tool is extremely powerful and takes each client away from the traditional coaching environment of sitting in a room talking to their coach. Instead clients are out in the countryside and working with animals. the day Alla chose to observe my session was not, however, the most ideal. it was cold and damp with extremely strong winds blowing across the open polders. Walking along the dike road to the manege became a challenge in staying upright. Luckily we were able to use the indoor arena for the session and the photo’s.